Integrated characterization of heterogeneous reservoirs is proving to be a fertile source of new reserves in mature oil and gas provinces around the world. Field re-exploration strategies such as resource-targeted infill drilling and field extension wells, together with strategic recompletions and waterflood optimization strategies, the designs and locations of which are based on sophisticated reservoir characterization studies, are now the preferred approach to the revitalization of mature fields. These approaches have captured almost two thirds of the 40 billion barrels of oil that have been added to the US reserve base over the past 20 years. Projects completed domestically and internationally by ARC Group personnel have demonstrated that production optimization approaches are best deployed within the context of a well-characterized reservoir framework. Integration of geological, seismic, petrophysical, and production engineering data into a quantified description of reservoir architecture and rock property structure, in which the residency of the remaining hydrocarbons has been identified and quantified, facilitates high-confidence, extended development of reservoirs. An added benefit being realized from reservoir characterization studies is that the volume of reserves added per new well drilled in Texas has increased by 40 percent in the first half of this decade – a direct result of the deployment of advanced characterization technologies. This success has been achieved through the use of 3-D seismic data volumes for better characterization of the structural framework of mature fields and for targeting of depositional axes for strategic infill drilling. In the international arena, our projects have accomplished daily production increases of 5 to as much as 10 fold daily production in fields that have historically been classified as being marginal or depleted. Reservoir compartmentalization is a function of facies architecture. Facies are the fundamental building blocks of reservoirs and, as such, either foster or hinder reservoir drainage, impart heterogeneity to the reservoir, and provide the flow units through which the reservoir drains. In ARC Group’s experience, most reservoirs are inefficiently drained because the complexity of facies architecture is invariably under-appreciated in field development and in the deployment of conventional recovery strategies. Reservoirs in which the greatest reserve growth will be attained are those with a high degree of internal heterogeneity, substantial volumes of untapped or bypassed hydrocarbons, and importantly, those with the most accurate reservoir descriptions. ARC Group’s approach to the advanced characterization of reservoirs is to rigorously establish the stratigraphic and structural framework of the reservoir system through the use of well log correlations and seismic characterization. All engineering information is then processed within, and integrated into, this high-resolution architectural framework. ARC Group’s staff have conducted integrated reservoir characterization studies on a wide variety of reservoir types ranging from fluvial to submarine fan reservoir systems. Deltaic reservoirs provide an excellent example of the impact of reservoir architecture on hydrocarbon recovery. These contrasting reservoir types display a wide variety in internal architectures and consequently, recovery efficiencies. In Texas, conventional primary and secondary recoveries in deltaic reservoirs vary greatly from 80 percent to less than 20 percent of the oil in place. This decline in recovery efficiency coincides with increasingly complex internal architectures. The lowest recoveries of all deltaic reservoir types are those of the tide-modified deltaic reservoirs such as those of the Eocene Misoa C Sands of Lake Maracaibo in Venezuela, where average recoveries are less than 20 percent. Our studies in Lake Maracaibo have shown that the two principal reservoir facies of tide-modified deltaic reservoirs, estuarine distributary channels and tidal sand ridges, have sand-body dimensions smaller than existing well spacing in many fields in the Maracaibo Basin resulting in inefficient waterfloods and low primary recovery. Despite prolific production from these reservoirs, vast volumes of oil still remain to be recovered. Facies changes, channel-on-channel contacts, and permeability anisotropy all contribute to poor areal and vertical sweep efficiencies in fluvial-dominated and wave-modified deltaic reservoirs. The residency of the remaining mobile oil, defined through integrated reservoir characterization, is in uncontacted compartments and poorly swept or bypassed facies. These depositionally complex reservoirs respond readily to advanced recovery strategies such as targeted infill drilling, waterflood optimization, and strategic recompletions. 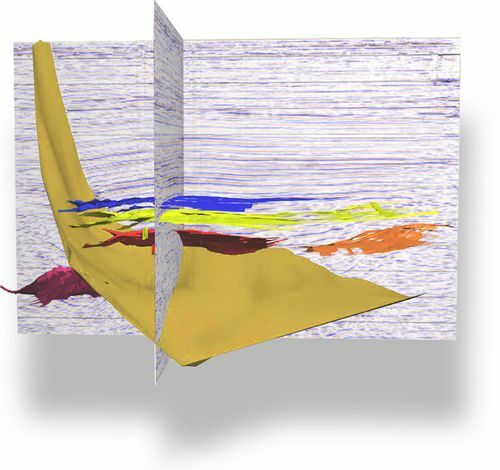 ARC’s approach to integrated characterization of heterogeneous reservoirs follows a three step process that (i) establishes the stratigraphic and structural framework of the component reservoirs of the field, (ii) establishes fluid character, location and flow characteristics, and (iii) identifies the residency, and quantifies the magnitude, of the remaining oil or gas. Steps one and two are iterative, and step three becomes the basis for designing a portfolio of advanced recovery opportunities in the field being characterized. This three-step path can be referred to as the static model. ARC Group also offers reservoir simulation based on the results of the static model to provide a dynamic-model analysis of production response to proposed recovery strategies. ARC Group’s advanced reservoir characterization teams typically include a reservoir geologist that functions as the team leader, a seismic interpreter, a well log analyst and well-completions specialist, a production engineer, and a database manager. The production optimization teams can be expanded, as appropriate, to include reservoir visualization specialists, and reservoir simulation engineers. Our teams have worked on diverse reservoir characterization projects with great success around the world. Typical projects include locating 72 horizontal wells in the Orinoco heavy oil belt of Venezuela, production optimization studies of light oil reservoirs in Lake Maracaibo, targeted infill drilling for gas reserve growth in the Cooper Basin of Australia and the Burgos Basin of Mexico, and numerous studies of conventional oil and gas reserve growth potential in the Gulf Coast and Permian Basins of Texas. The product of ARC’s reservoir characterization projects are multi-year extended development plans based on a portfolio of field redevelopment opportunities that have maps of uncontacted and bypassed oil and gas resources as their foundation. ARC Group’s extensive experience in integrated reservoir characterization shows that this advanced approach to reservoir management is proving to be a low cost, low risk approach to fostering reserve growth in mature, and often ‘marginal’, fields. The volumes of incremental oil (and increasingly, natural gas) that will ultimately be recovered are functions of the style of heterogeneity of the reservoir system, the magnitude of the unrecovered mobile oil (and natural gas) and the effectiveness of the deployment of advanced characterization and recovery technologies. Recent experience in the US where two-thirds of all reserves added came from existing fields, and in Texas, where we have seen a 40 percent increase in the reserves added on a per well basis confirms that integrated reservoir characterization is a proven technology for breathing new life into old fields.